LEGION OF DOOM — When a new Time Aberration is discovered by the Legends, they find themselves headed to 1927 Chicago. 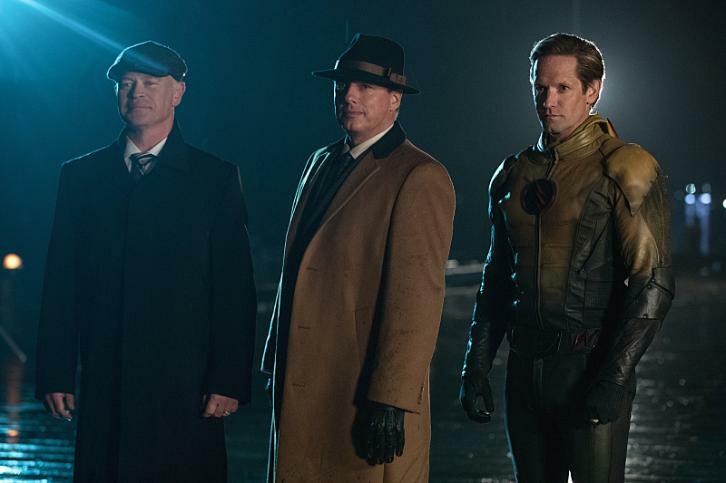 The Legends quickly realize that they have been set up by Eobard Thawne (guest star Matt Letscher), Damien Darhk (guest star Neal McDonough) and the newest member of the Legion of Doom, Malcolm Merlyn (guest start John Barrowman). While everyone is trying to help fix what they think is the mission, Jax (Franz Drameh) encourages a reluctant Stein (Victor Garber) to share his secret with the other Legends. Stein is taken captive and Sara (Caity Lotz) must make the tough choice of either stopping the Legion of Doom or saving Stein. Meanwhile, Rory (Dominic Purcell) gets an unexpected visitor and is not sure how to handle it. Brandon Routh, Nick Zano and Maisie Richardson-Sellers also star. Ralph Hemecker directed the episode written by Sarah Nicole Jones & Ray Utarnachitt (#208). Original airdate 12/8/2016.